Engage with thousands of buyers on NYC’s largest real estate network & get high quality leads in your local market. Get Unlimited Featured Listings to showcase all your listings. A Featured Listing is a nominally priced option to literally feature your listing above everybody else’s on search results pages and dedicated e-blasts. What that means is when buyers, landlords or investors search on PropertyIDX.com, your listing will be seen first. Beyond the obvious of boosting listing performance and getting more leads — our data show that Featured Listings will get a 96 percent increase in listing views while receiving 70 percent more contacts. Do more for your agents and their listings with IDX·Enterprise. Unlimited agent and listings promotion to thousands of landlords and buyers. An IDX·Enterprise account is an upgraded team/ company account to literally manage and feature all your listings, agents, and listing performance. What that means is you are the master administer for your team or company’s listings and agents. 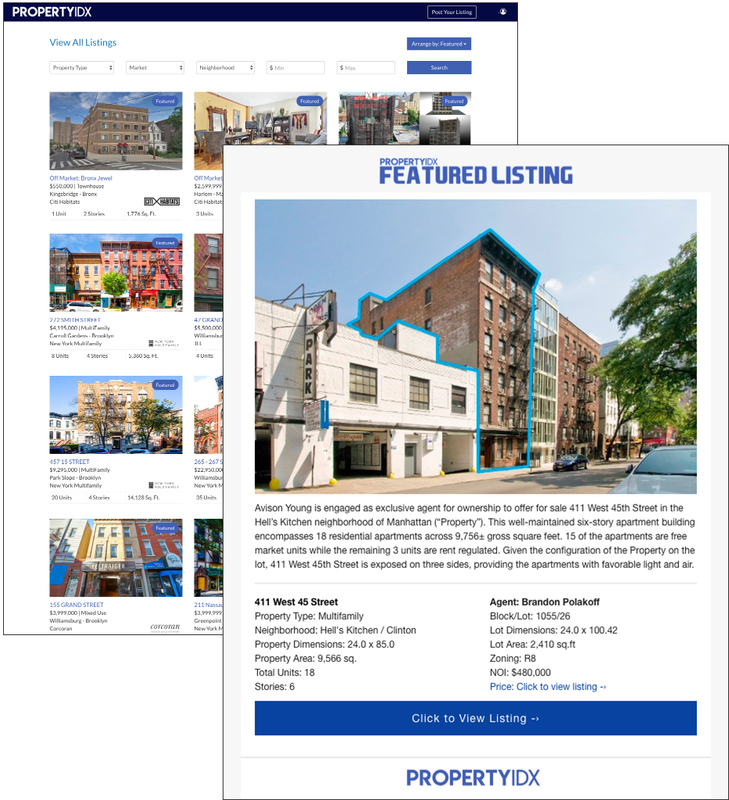 Besides the obvious, all listings will automatically be upgraded to Featured Listing to instantly increase your listing performance, agent exposure, and your companies brand on our website and with our e-blasts.